At the MIT Press we pride ourselves on the professionalism and the creativity of our team. We combine the capacities of a traditional, large university press with the international reach, technological sophistication, and brand recognition of a larger commercial house. We publish fewer titles annually than our commercial competitors and so we have more riding on the success of each. Every new book receives the kind of personal attention worthy of the investment that you have made in authorship. A general note about book publication schedules and book promotions. Please note that publicity and promotion of your book are optimally timed to coincide with the date your book will be available in stores and on retail online sites. To determine this date, please add approximately four to eight weeks to the date your book is bound, a date you can obtain from your acquiring editor. Please keep in mind that books may take longer than six weeks to reach bookstores outside the United States. In the UK and Europe, publication dates are generally six to eight weeks after the bound book date. Accordingly, the MIT Press will focus promotional funds on advertising, publicity, exhibits, e-promotion, direct mail, and other efforts that are timed to appear once the book is available. With few exceptions, we do not consider advance advertising, early publicity, or other forms of pre-publication promotion to be an effective use of promotional resources. We hope you will keep the book’s schedule and estimated publication date in mind when planning lectures, media reviews or interviews, internet announcements, and other efforts to promote your book. The Publicity Department solicits jacket endorsements of books that require them. If you have contact preferences and/or have relationships with contacts and have not yet submitted them in your Author Questionnaire please let Publicity know. A mix of people who are very likely to provide comments along with those who might be considered longer shots is ideal. Longer lists should be ranked and prioritized. It is fine to list your professional colleagues of high standing, but please do not suggest people, such as contributors and series editors, who are involved with the book, or who are thanked in the acknowledgements. It is also best not to suggest book reviewers, journal editors, or journalists who might eventually write reviews of the book for publication, since providing a cover endorsement would probably disqualify them from reviewing the book later on. The MIT Press dedicates considerable resources toward maintaining a strong and stable footing in the electronic book world. The e-book market continues to develop and customize itself, creating new avenues of content distribution, marketing opportunities, and revenue for authors and publishers. Our e-partners represent a variety of business models targeting online customers, libraries, students, and corporate employees, among others. Some models offer expansive e-libraries, charging users for viewing or printing only parts of a book, while others are modeled to sell the entire work as an e-book. Regardless of the model, before establishing a partnership the Press requires each e-vendor to meet stringent criteria including file security, and routine sales reporting so that we can compensate our authors in a timely and accurate manner. We work with too many partners to name here but the largest include Amazon Kindle, GooglePlay, Apple iBooks, Barnes & Noble Nook, IEEE, UPSO, EBSCO, ProQuest, UniverstyReader, Books 24x7 and numerous other programs. Some programs that we participate in do not produce revenue but perform an important promotional function. These programs include Amazon’s Search Inside the Book, Google Book Search, and Barnes and Noble See Inside. We also have our own ebook program where we sell ebooks in PDF and EPub formats directly from the MITP website. The Press sees significant opportunity in the professional and academic markets. We have inserted e-content production into our workflow and have a commitment to making your content widely available. Our Publicity Department will coordinate the media effort for your book. If there are specific media you would like us to contact -journals, magazines, or newspapers in which reviews should be solicited- that you haven’t yet indicated in the Author Questionnaire, please let us know. Once the book appears in our warehouse, your publicist will send you a list of editors and journalists to whom we propose to send review copies. You will be invited to add your suggestions to this list, or to point out important media that might be missing. Please note that the publicity department will set a publication date for your book based on its estimated production schedule. As noted above, publication dates are often a month or more later than bound book dates; this is intentional. It allows copies of the book to reach bookstore shelves before major publicity appears, gives reviewers some lead time to prepare their articles, and provides a margin for unforeseen changes in the book’s production schedule. Publication dates are set primarily for the media. They do not delay the shipment of books to stores, conferences, etc. Please let your publicist know in advance of any travel plans you are making for the months following the book’s publication, especially if these plans might allow some time for book promotion and publicity. For instance, if you are planning to give a university lecture or to speak to a professional group at a venue where your book (once published) could be available for sale, we would need to know about this four to six weeks in advance in order to arrange it with the event’s organizers and to have copies of the book shipped in time for your talk. The publicity department will send you a copy of any review or notice of the book that we receive. If the Press holds rights to your book, it will be listed in a “forthcoming titles” newsletter which is sent to subsidiary rights clients including publications that may be interested in excerpts, as well as agents and foreign publishers. This happens before the book is listed in any catalog, and usually generates inquiries in advance of publication. The Press pursues all such leads and, in addition, has a presence at annual International trade bookfairs – BookExpo America, London Book Fair, and Frankfurt Book Fair. We target potential publishers early, six months or more before publication. Permission to reproduce is granted according to a fee schedule, but not until publication. We will schedule advertisements of your book in online and print media to run once the book is published. Every effort will be made to fulfill your wishes in terms of ad placement. In addition to our own email campaigns and online promotion, we encourage authors to be active in a book’s promotion by leveraging their networks and personal connections as much as possible. We are able to provide several services to help with these efforts, including guidelines for language, templates for listserv postings, and personal author promotional discount codes for sharing with friends and colleagues. If you are a member of any electronic mailing lists, newsgroups, or forums related to the topic of your book, and the etiquette of the group allows for book announcements, you might consider posting a brief message about the book at the time of its release. In general it is more effective for the author, as an expert in the field and member of the newsgroup, to post about his or her book, rather than for the MIT Press to do so. Similarly, if you have access to a list of email addresses, it is best for you to send an announcement to those addresses, rather than for the MIT Press to do this. We can, however, provide wording suggestions and templates to help with this effort. If you feel that this kind of guidance might be helpful, please be in touch. We are also able to help authors promote their work by offering a short-term special author’s discount code for sharing. This code, good for a limited time for 30% off a book’s list price on the MIT Press website, can be shared with interested friends and colleagues, within any email lists to which you might have access, or within any organizations or listservs in which you are involved. If you would like to receive an author’s promotional code to help you promote your book, please be in touch with Beth Moore. Similarly, if you are aware of any additional organizations or professional associations whose members might have a special interest in your book, please send those suggestions to us. Finally, please remember to mention your book (and include a link) on your own website or blog. You could also include a link to the book in your email signature. We will arrange for your book to be exhibited at relevant academic conferences worldwide. If you plan to attend a particular meeting and wish to discuss opportunities to promote your book, please contact us at least a month prior to the conference. Exhibit space (booths and tables) must usually be reserved and scheduled three to nine months in advance, depending on the conference. A minimum of one month’s notice is required to arrange for the display of flyers, order forms, or books at conferences that do not appear on our exhibits schedule. We produce an impressive series of subject specific catalogs in print and digital format. Your book will be promoted in all relevant catalogs and brochures. These promote current and forthcoming titles in a particular academic field and related areas as well as a selection of active backlist books. Subject catalogs are mailed to book buyers, faculty, scholars, and specialists and professionals in related fields, and they are distributed at relevant academic meetings. All of our discipline catalogs are available online. The publicity department maintains a database of literary competitions and submits titles as appropriate. If there are awards for which your book might be a strong candidate, please let us know if you have not already in the Author Questionnaire. If your book is intended primarily for higher ed course use, it will receive a special textbook promotion plan. We will work with you to craft a targeted outreach list. In Europe and the UK, your book will be promoted by marketing staff in our London office. The staff’s activities include soliciting book reviews, exhibiting at professional conferences, arranging for print media advertising, mailing promotional literature to the academic and professional community, and mailings with follow-up to secure text adoptions. 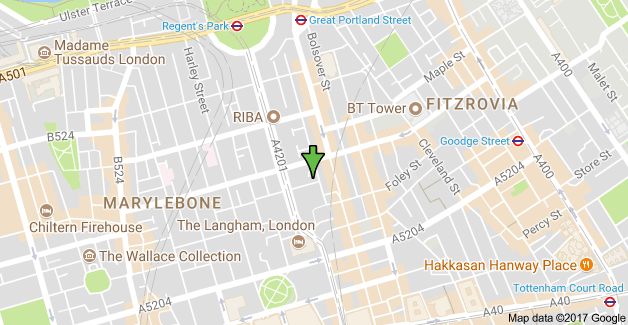 Our European office based in London is responsible for the United Kingdom, Ireland, Continental Europe, India, Pakistan, Africa, and the Middle East. In Australia and New Zealand we work with an exclusive sales and marketing group. Canada, Caribbean, Central America, South America, Asia, New Zealand, and Australia and other international markets are handled by our US office. If your book is a textbook, our European office will work with you to identify schools or even particular countries that might be interested in using the book for courses. Some methods and approaches are especially popular in certain countries, and your insight here will increase the effectiveness of their text promotions. A global network of sales representatives will sell your book to independent bookstores, chain stores, online booksellers, and wholesalers. All appropriate titles are presented personally to buyers within these operations; such buyers have sole discretion as to what is purchased initially and in what amounts. The Press sells to all major museum shops and hundreds of independent stores, many of which are specialty shops selling to a particular profession or market such as architecture, computer science, or economics. It is up to the individual retailer or wholesaler to reorder according to their own internal inventory system. These efforts are supplemented by regular mailings and exhibitions at book trade conferences such as the Book Expo America, Frankfurt Book Fair, and the London Book Fair. International sales are, for some titles, as much as one-third or more of book sales. If not already indicated in the Author Questionnaire, please tell us of specific foreign content, foreign affiliations of authors contributing to the book, centers of unusually strong foreign interest in your area of research, and notable competing books from English-language publishers outside the US. As mentioned above, the Press works closely with domestic and international online booksellers to sell your books online. We appreciate your help in making sure your book’s listings are accurate and complete. If you discover an error on a bookseller’s website, please let us know. We will notify the bookseller and ask that the listing be corrected. As we do not directly control these databases, we cannot make the corrections ourselves, and we have no control over how quickly they are made by the bookseller. We also have very little control over whether these sites list your book as available or not. They typically take their information on availability from wholesalers, rather than from the Press. Thus, if a wholesaler has sold out of a book, or has not yet received it, or has not yet processed it, an online bookseller may list the book as “out of stock special orders only,” or “not yet published.” We urge you to let the Sales Department know of such errors, even though our ability to have the listing corrected promptly is limited. Amazon’s Author Central has proven effective in promoting sales of books by participating authors. We highly recommend that you participate. The Author Central portal gives authors the ability to add information to their Amazon Author Pages. Author Pages pull together all of an author’s titles, regardless of publisher. The Author Page appears at the top of a search result for the author's name. The Author Page can also be reached by clicking on the author's name on the book page for each title by that author. Online sales are clearly driven by providing more robust content for each of our titles. Special Sales include sales to non-traditional accounts such as corporate, institutional, and niche retail accounts. These efforts are an integral piece of our overall sales efforts, particularly as the sales to these channels are often negotiated on a non-returnable basis. If you have questions about Special Sales, please reach out to us. 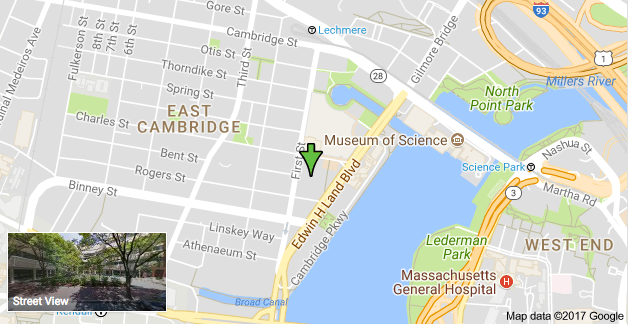 The MIT Press has its own very successful bookstore located in Cambridge, MA. The Press Bookstore sells all MIT Press publications and has a substantial selection of books from other publishers related to Press fields. The store sells books at author events at MIT and locally. If you plan on giving talks at MIT or in the area, please be sure to let us know well ahead of time. The store will be happy to do its part to promote your talk in the store and to our customers through our periodic email newsletter, and our website. 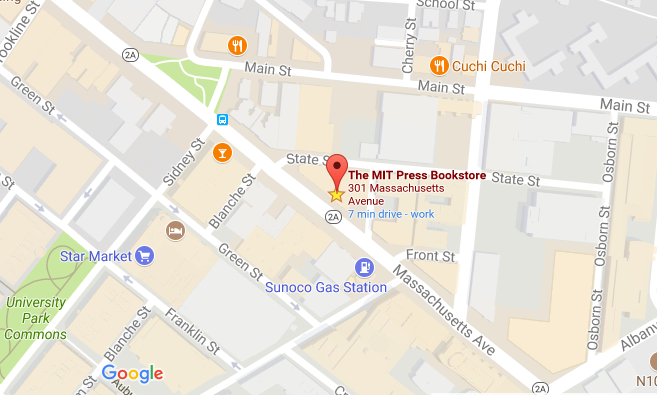 You may also purchase MIT Press books at a discount when visiting the Bookstore, located at 301 Massachusetts Avenue, Cambridge, MA 02139. Authors, Editors, and Contributors may purchase MIT Press books (including their own) at a 40% discount. Order by telephone at 800.405.1619 and identify yourself as an author. You may also order securely via this website. Please reach out to us for the discount code to use online.